This house is not available for sale at this time. Find out why here. Below, you can learn more about it, including a video & photos. 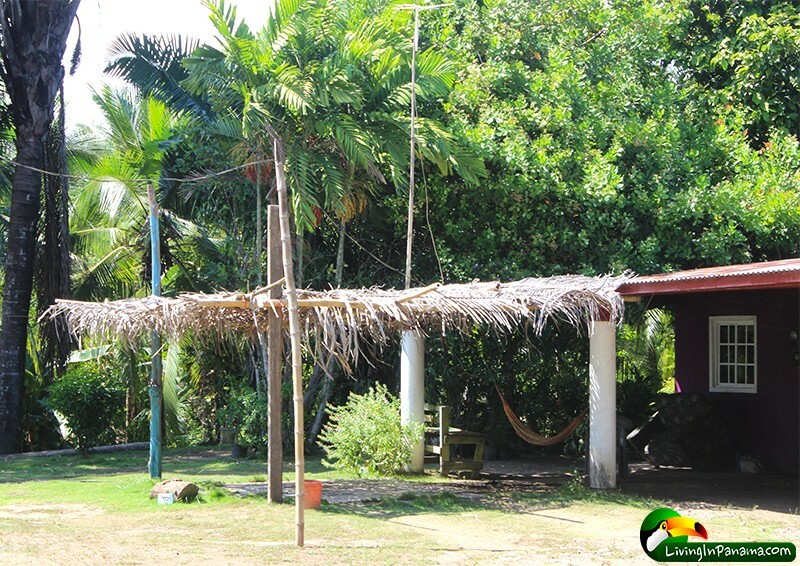 This beach house is in the Corazon de Jesus neighborhood of Puerto Armuelles, Panama. and feel the oceans’s refreshing breeze from this delightful home. It is only 90 feet from the beach. The house is set back from the beach. 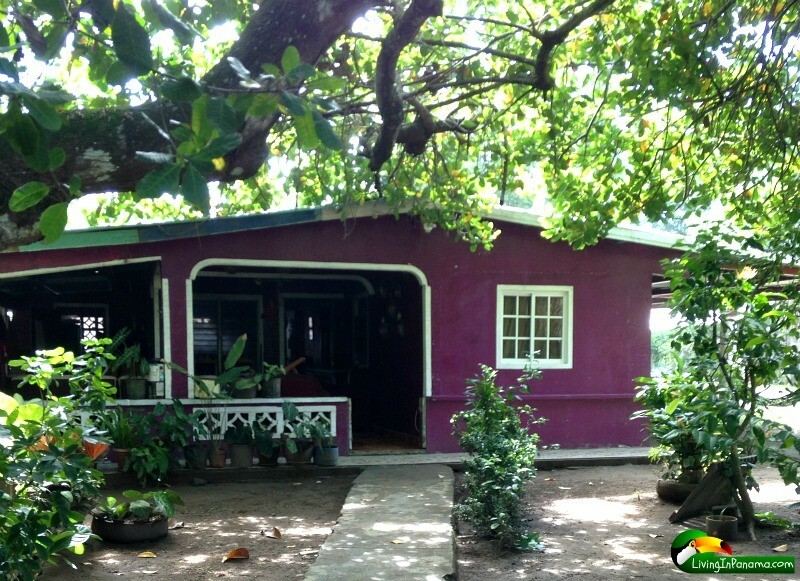 The ravine provides wonderful shade to the rear of the house as well as a home for many tropical birds. It is like having your cake and eating it too. It is really is in a fabulous location. neighborhood, Corazon de Jesus, is steadily being bought up by ex-pats and investors. The house is approximately 1400 square foot. The lot is about 6000 square feet. We aren’t selling this house yet, it is under contract and there are unresolved issues with it. Fraudulent issues. No one should buy this house until all issues are resolved. 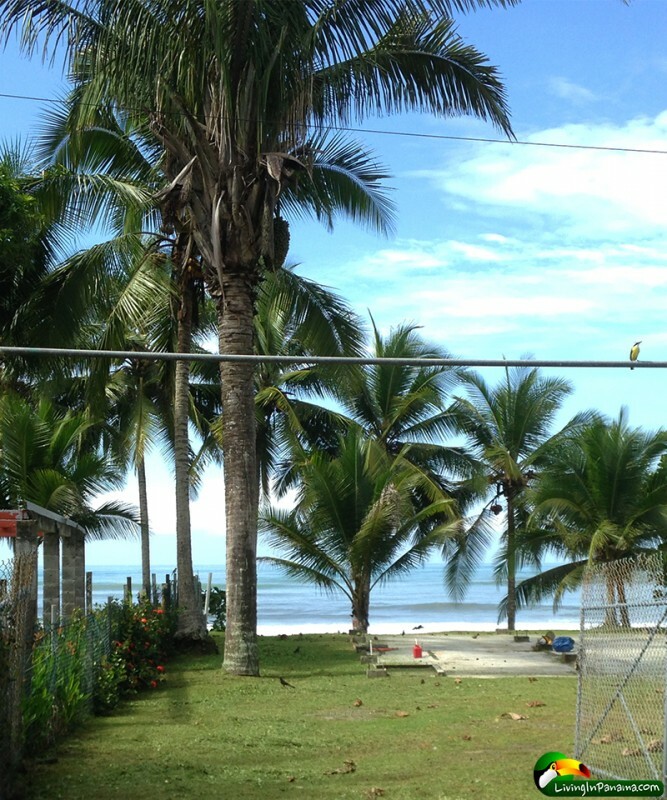 In the meantime, you may want to consider this beach front house for sale in Puerto Armuelles. 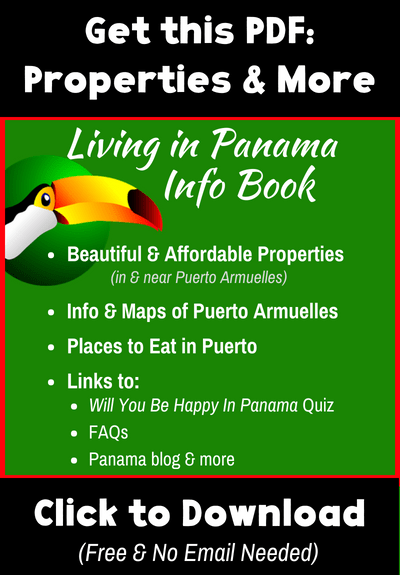 Or browse all our Puerto Armuelles Panama real estate. 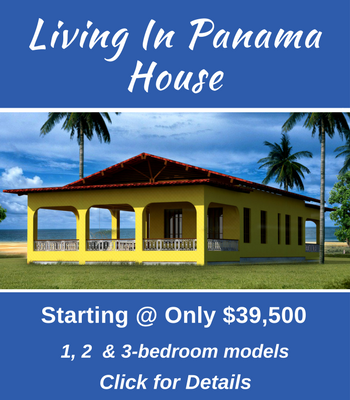 However, when you decide to buy, I want you to know that we offer what I don’t think anyone else in Panama offers – a chance to change your mind. We give you 30 days from the time of signing the purchase agreement to change your mind about buying a particular piece of property. We will give you a full and fast refund (minus closing costs). All our properties are throughly vetted and are priced well. Therefore,we don’t think you will take us up on this refund offer, but it is there if you need it. 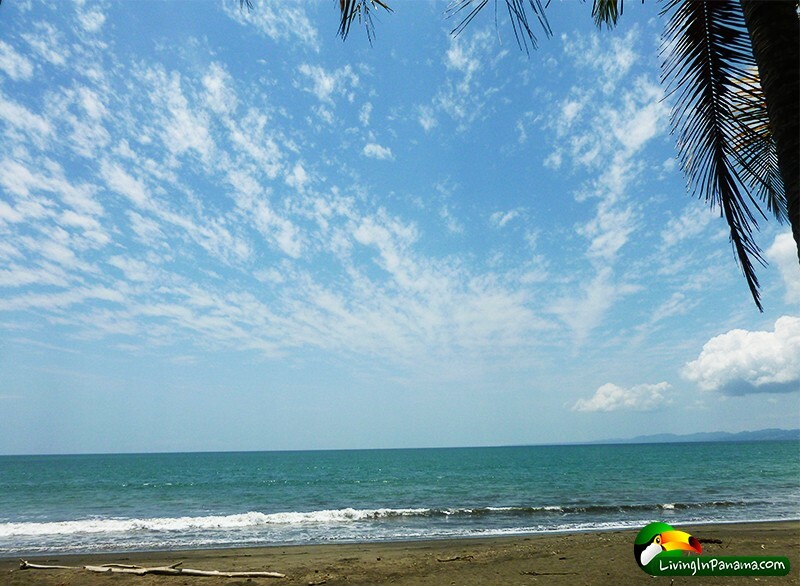 1) If you buy one of our properties, we will pay your airfare you spent to get to Panama. (FYI, If you do change your mind and get a refund, it will be minus the cost of the airfare). 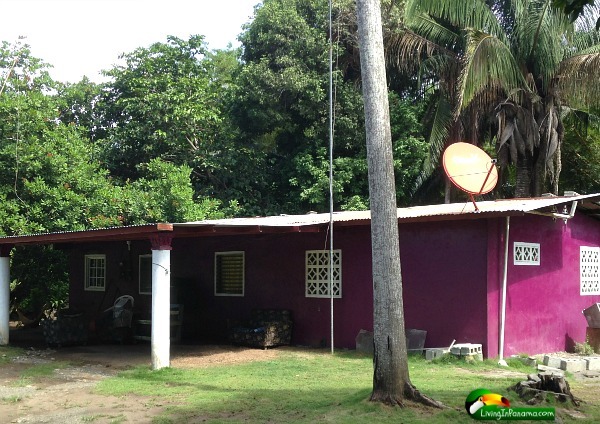 2) We offer financing on many of our properties. Since it can be hard & time consuming for individual foreigners to qualify for a bank mortgage this is a great perk. Click the “Why Buy From Us” link below for details on our financing. 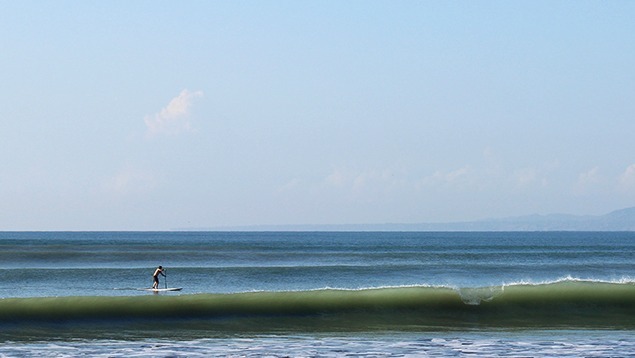 This shot was taken on beach in front of this house. 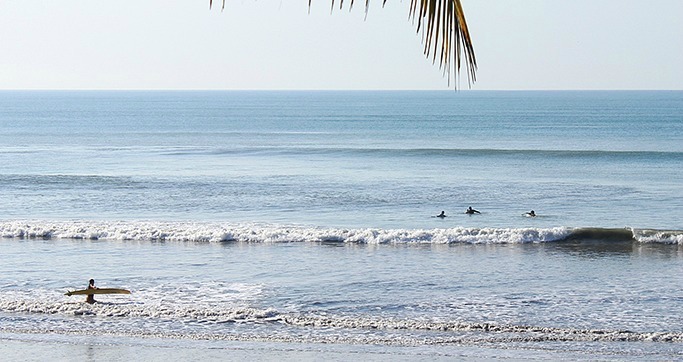 This a a popular day for surfing. An instant rancho in front of the house. Front & side yards are ample. what about property taxes? Average monthly electric bill? Water costs? Sewage? Garbage and waste disposal? 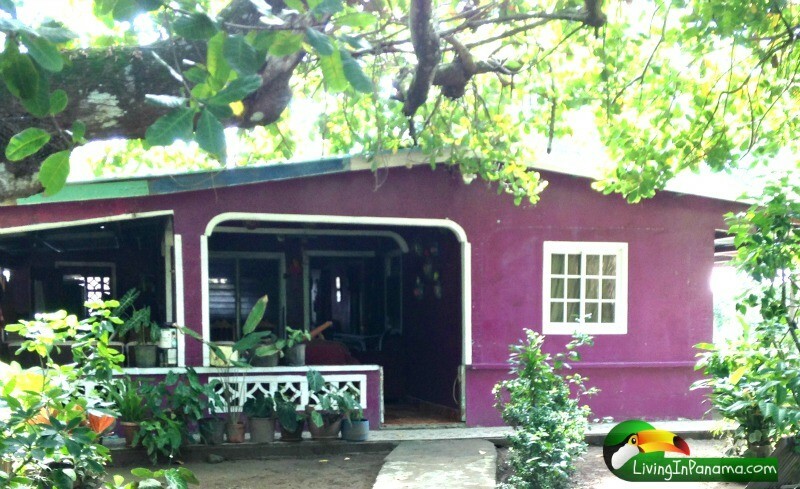 When do you foresee this property becoming available?